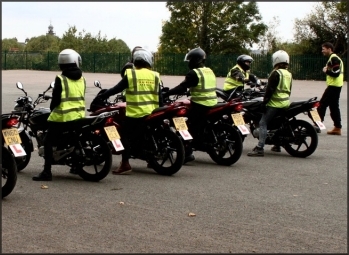 London Motorcycle Training provide Compulsory Basic Training (CBT) from our various CBT Training Centres accross London. 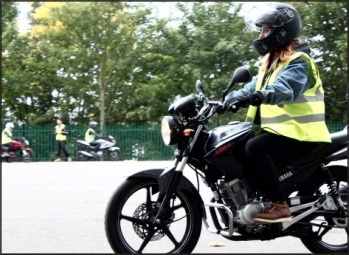 Most learner motorcycle and moped riders must take Compulsory Basic Training (CBT). 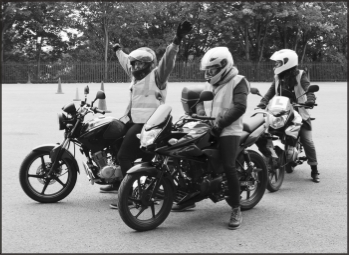 It's a one day course designed to ensure you are able to ride safely and competently on the public roads before you are issued with the CBT certificate. It is valid for 2 years, at the end of which you will either have to pass your Full Motorcycle license tests or take the CBT training again. The CBT certificate allows you to legally ride any moped or a motorcycle up to 125cc on the UK roads with some restrictions. You have to display L-plates, cannot ride on the motorways and cannot carry a passenger until you pass your Full Motorcycle license tests. Once you have your certificate you are advised to take additional training to pass your theory and practical tests and qualify for a motorcycle licence. You must take the DL196 certificate with you when you go to your practical test. 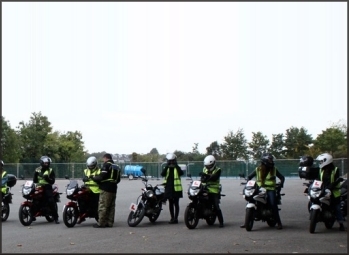 London Motorcycle Training is a fully authorised by the Driver and Vehicle Standards Agency (DVSA) motorcycle training school. We are also a member of the Motorcycle Industry Trainers Association, which means we are committed to a standard of good practice set by our professional Association. The training is provided by our friendly and professional instructors and our goal is to ensure that every student receives the individual attention and training necessary for them to ride on the road safely and confidently. London Motorcycle Training's office is located at 507 Kingsland Road, London E8 4AU. The CBT training takes place at our different CBT training centres accross London. We run CBT courses every day of the week. They start at 8:30 at our training locations and finish around 16:00, provided all five elements have been satisfactorily completed. Click here to book your CBT training course online today! TFL has recently developed a new completely free online course, that can help you in the preparation for your Compulsory Basic Training. To access it please follow the link and log in as a guest. Learning how to stay safe on the road, has always been a very important part of the training we provide. 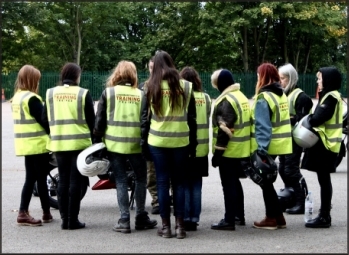 London Motorcycle Training have now partnered with the Hackney council, to offer £60 CBT courses to anyone who attends the Hackney Road safety course. This is a 2 hours classroom based course, run by the Hackney council, on selected days from 16:00h to 18:00h. In order to take advantage of this offer, you must book and attend the Hackney Road Safety course first. Once you have completed the course, all you need to do is just contact us to arrange your CBT course at a suitable date at any of our CBT training locations with no additional payments. Click here to book your Hackney Road Safety course online today! What is included in the price of the CBT course? What do you need to make a CBT course booking? - Full or Provisional UK driving license or EU license that has been registered with DVLA (Form D9 to apply). You need to bring both the EU license and the registration document from DVLA on the day of your training. - In order to book a CBT we will need to receive payment in full in advance. Whether you book online, on the phone, or in person, we will not take payment until we have confirmed a suitable date is available. The payment is non refundable if cancelled less than 3 business days prior to the course. It is very important that you arrive on time and wearing appropriate clothing. 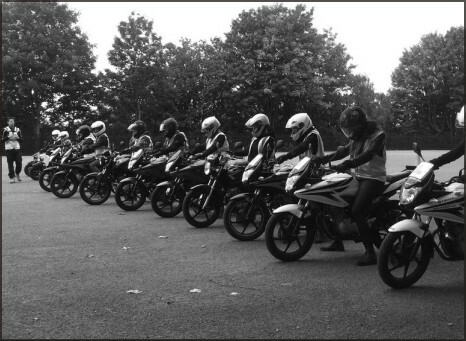 At London Motorcycle Training we make the process of learning to ride a motorcycle or scooter easy and enjoyable for you. The CBT course is essentially good fun - do not think that you are doing a car driving test. The atmosphere will be very different to that, you might even make a friend or two! Some students who do the course begrudgingly because they have to, have come back to the shop at the end of the day surprised that they learnt something and enjoyed themselves.